Hostilities cease on death. That is why the cops doff their caps after a notorious criminal is found lying dead who deservingly, then, is allowed to be given a proper burial. But, why the ‘traitors’ and ‘betrayers’ of a cause or community or trust or country or nation are generally denied this respect even after their death. Why people revile them and their tombs, after hundreds of years of their death? Why their descendants, generation after generation, even, carry the tag of a family of “betrayers” and “traitors”? Is their crime or sin, whatever one may call it, as grave as unpardonable in the annals of the affected thereby, down the ages? The discussion following is a no-brainer to find the answer to these intriguing questions. The breakup of Centralised Mogul Empire gave birth to a large number of small independent kingdoms by the second half of the eighteenth century. The British who under “garb of trade” had already set their feet in Bengal through East India Company (EIC) since 1600 AD wanted to have their Rule, administrative and military, firmly and formally established over India. 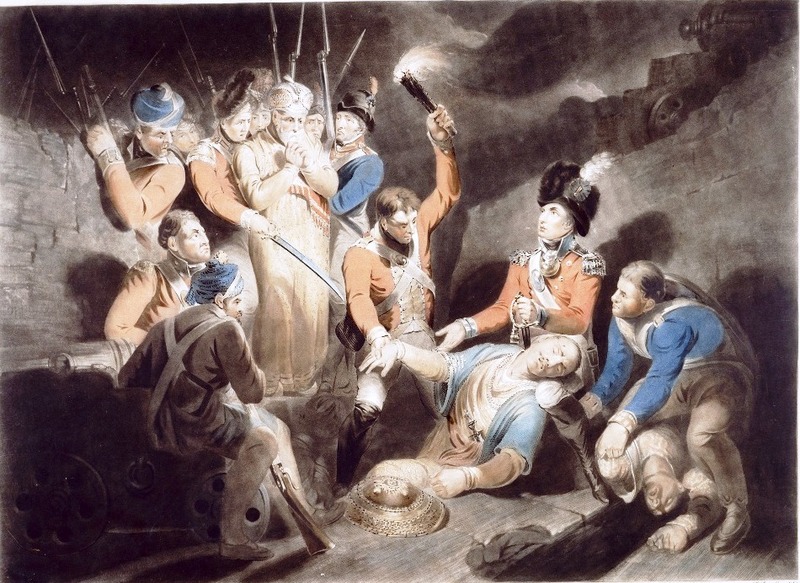 The Battle of Plassey, on June 23, 1757, opened the floodgates for this British desire. In that battle, the British defeated Nawab Siraj-ud-Daulah, the last independent ruler of Bengal that comprised then present West Bengal, Bangladesh, Bihar and Orisha. But the British EIC dream’s of “plundering Bengal” (Karen Armstrong’ Islam: A Short History, p 126) and ruling India wouldn’t have materialized if Mir Jafar, the commander in chief of Nawab Siraj-ud-Daulah had not “betrayed” his ruler right in the battlefield and been actively a part of the conspiracies hatched by the British commander in chief, Robert Clive. That “treachery” and “conspiracy” ultimately led to the defeat of Nawab and induction of Mir Jafar, with “British military support” as a “puppet ruler”, or “Clive’s Donkey”, in lieu of his “services of betrayal” for the Company. As a part of the “betrayal-plan” between Mir Jafar and Robert Clive, Nawab was captured and executed on July 2, 1757, by Mir Jafar’s son Mir Miran in Jafar’s palace whose ruins in Murshidabad are now “commonly” nick-named as Namak Haram Deorhi. While Nawab’s mausoleum at Khushbagh Murshidabad, is well-maintained and shown respect by all visitors, Mir Jafar’s tomb also in Murshidabad, Jafarganj cemetery, is disrespected by all those who visit that site by throwing very derisive and abusive words, some even spit at his grave. Jafarganj Cemetery where Mir Jafar and his relatives are buried is not maintained at all and looks extremely desolate and spooky in broad daylight, also. Although one may just presume that till Mir Jafar and his successors were used by British as “puppet rulers” of Bengal, the Jafarganj cemetery of Mir Jafar may have been “maintained” by the then local administration, yet neither his palace’s remnant (entrance gate) nor his grave are under Archaeological Survey of India (ASI), thus, heading towards their complete extinction. 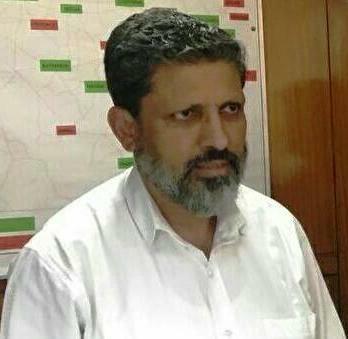 In 1994, Mir Jafar’s great great grandson, Syed Mohammad Reza Ali Khan of Calcutta, a historian and teacher, was fighting to erase “stamp of treachery” from the family name but failed to get away with sobriquet of Namak Haram family for handing over then predominantly Muslim Bengal to British for a “puppet-rule”. His attempts to re-write history by bringing in “others” who were involved in the betrayal at Battle of Plassey with Mir Jafar have utterly failed and so his clamour that “we are victims of a historical injustice” has fallen on deaf ears, even after 250 years. (India Today, January 31, 1994). It may be remembered that the children and followers of traitors always come out with different theories and narratives, trying to belittle or obfuscate the recorded historical facts to wash off their traitors’ names of the indelible eternal stains of treachery and betrayals. But it is all in vain. If betrayal of Mir Jafar in 1757 paved a way for EIC to lay the foundation of the British Rule in India, Mir Sadiq’s treachery of 1799 in the fourth Battle of Mysore finally confirmed and consolidated the Foreign Rule. The British removed the last obstruction in the way of their complete dominance over India when they won this battle by defeating and “martyring” Ruler of Mysore, Tipu Sultan at his Seringapatam fortress. On the final day of confrontation, May 4, 1799, after a 32 days’ siege of his fortress, Tipu Sultan was “martyred” by the British troopers with the active support of Mir Sadiq, his own chief minister. Before his “martyrdom”, Tipu Sultan was approached for a “disgraceful” compromise or surrender by the British, (the Hindu, May 5, 2014), which he declined in these words: “Single day life of a tiger is far better than that of 100 years of a jackal”, hence, the name: Tiger of Mysore. He was dressed alike with his soldiers in the battlefield making it a bit difficult for the British to recognize him. But Mir Sadiq, as a part of the ploy, neared and bowed before Tipu Sultan as if showing a mark of respect. But it was a pre-planned signal to the British to identify and “martyr” Tipu on the battlefield. This act of treachery is apparently comparable to Judas Iscariot, one of twelve disciples of Jesus Christ, kissing him on his cheek to let Israeli authorities know of his identity. Judas’s act of betrayal, most abominable in Christendom, just for 30 silver pieces, led to the crucifixion of Christ. 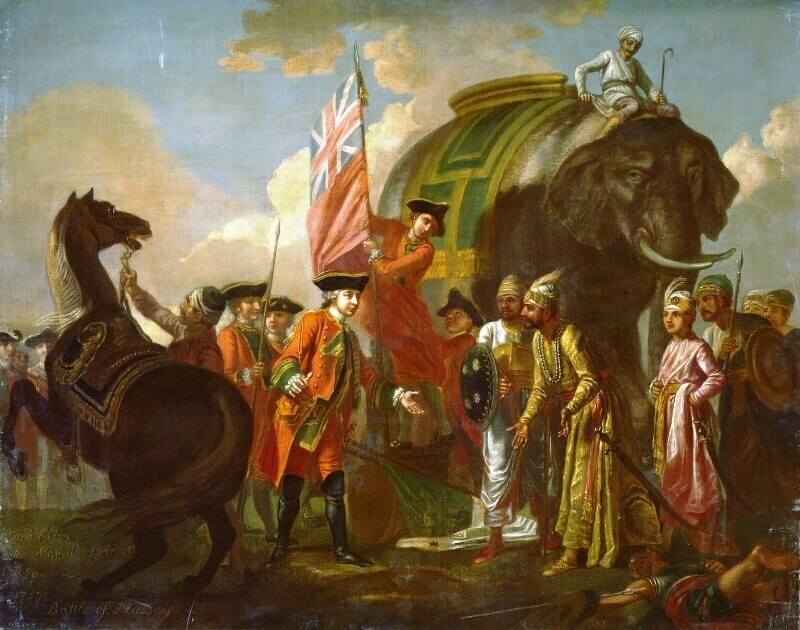 After treacherously defeating and “martyring” Tipu, General Harris who led the British troopers said: “From this day the whole of India belongs to us”. In the battlefield, seeing Tipu Sultan was betrayed by Mir Sadiq that led to his “martyrdom”, the loyal soldiers of Tipu Sultan instantly disposed of Mir Sadiq when he tried to cross over to the British. “Mir Sadiq’s body was discovered lying on a heap of garbage”. (Dawn, May 4, 2010). After four days of the battle was over, Mir Sadiq’s body was still lying there, fully decomposed, the bad smell of which coerced people to “bury” him and his accomplice in a grave. Even after “burial” his body was exhumed for “severest” disrespect. (Tareekh-e-Hind, Mohammad Danderoulih, page 191). Even today, when tourists visit Seringapatam, Mysore, where the tombs of both Tipu Sultan and Mir Sadiq are found at two distant locations, apparent difference in their treatment and response to the two tombs is easily seen. The visitors treat the mausoleum of Tipu Sultan and his family like dargah of a Sufi saint and refer him as Hazrat Shaheed (Martyred Saint) and celebrating his Urs (death anniversary the way one would do at a Sufi mausoleum with great festivities and decorations”. But in sharp contrast, the grave of Mir Sadiq in Srinangapatna is utterly in ruins, horrible and dreadful. ASI doesn’t maintain it. The tourists who actually travel to visit the palace and mausoleum of Tipu Sultan when taken to, and shown by the local guides, the tomb of Mir Sadiq, while emotionally explaining the “history of his betrayals” with his own people and ruler, the tourists immediately mock at his grave, throwing insults and some even pelting stones to give a vent to their feelings. Being the grossest blunders of the betrayers, inflicting unending pain and destruction, the history of treachery naturally survives in the collective memory of the people. The hatred for these most despised people in human history has gone so deep in the memory and psyche of the people that even after centuries disrespect for them is showing no end. Nor will it end for posterity. In our contemporary world, we have an instance of difference when July 15, 2016 putsch couldn’t unseat the government of Turkish President Recep Tayyip Erdogan. As many as 24 rebel soldiers in that failed coup were buried “unceremoniously” in an unmarked grave in the black corner of a construction in Istanbul meant for dogs’ shelter with a signboard in black with white capital letters that mean: Traitors’ graveyard. (National Post, Turkey, July 29, 2016, and Deccan Chronicle, July 30, 2016). If Turkish coup were successful, no wonder 24 “rebels” may have been buried in a Cemetery of Martyrs and being remembered and revered as such till the “plotters” remain and remained in power! (Mir Jaffar of Bengal and Mir Sadiq of Deccan, they are a disgrace to mankind, their religion and their country). Mir Jafar’s 8th generation great grandson, named above, once said: the “nationhood” didn’t exist then in 1757. But who would tell him that betrayal is done to a Cause or Community or Trust, too. Mir Jafar and Mir Sadiq have become “extant symbols of treachery” in history for handing over their homelands [Bengal and Deccan] to Foreign Rule. No surprises, in modern times, they would have become “distinct symbols of prosperity” because the British were better off and advanced more than the Indians. The contemporary history abounds with such examples around us which implies that the history is shaped by events, so what drew obloquy and ignominy then, draws consensus gentium now.